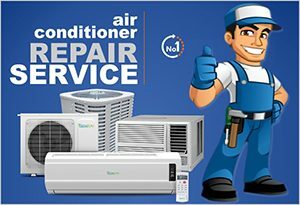 Since the inception of our company, we have continuously built a reputation as one of the most reliable air conditioning companies in West Coast, something attributed to our quality products as well as the expertise and the level of professionalism demonstrated by our employees. We always provide the best products and services, regardless of whether we’re dealing with aircon repair or servicing, aircon supplies or other HVAC related systems. With our experience offering reliable products and services to homes as well as commercial and industrial properties exceeding 3 decades, we have the knowledge to supply and connect units for properties of all types. Over the time period that we’ve been offering our top-notch services, we have provided and fitted many cooling and heating units. We have joined hands with reputable suppliers to provide high-quality products from respectable manufacturers. As the leading service provider of air conditioners West Coast wide, our experts take pride in the stress-free services that we offer our clients to ensure longevity of your equipment as well as increase its efficiency. We are aware that our clients have different needs as it pertains to choosing the most effective air conditioner for their property. Our experts are thus always available to assist you in making the right choice, as per your budget and size and structure of your property. Call our accredited contractors on 087 551 0627 today for a price quote on our products and services and for more information regarding our service.